Through a minimalist transposition, this piece is based on images drawn from the imaginary realm of dreams, their structure and their substance. These simple and abstract black and white shapes behave according to physical rules that the senses recognise and to mathematic models created from the observation of nature. 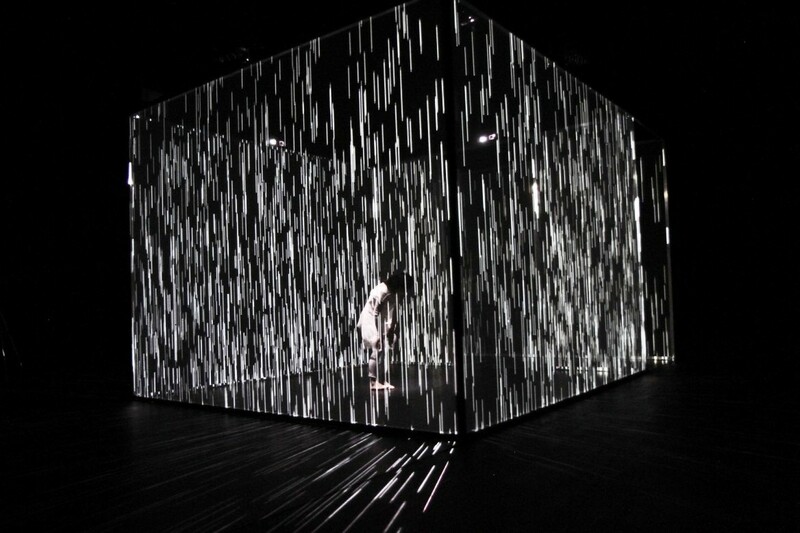 Interacting with this magical environment, the dancer is also acted upon by the moving images. She pushes, and lines fold; she whirls, and a “curtain” of light billows up; she crouches, and dots of light “rain” down. 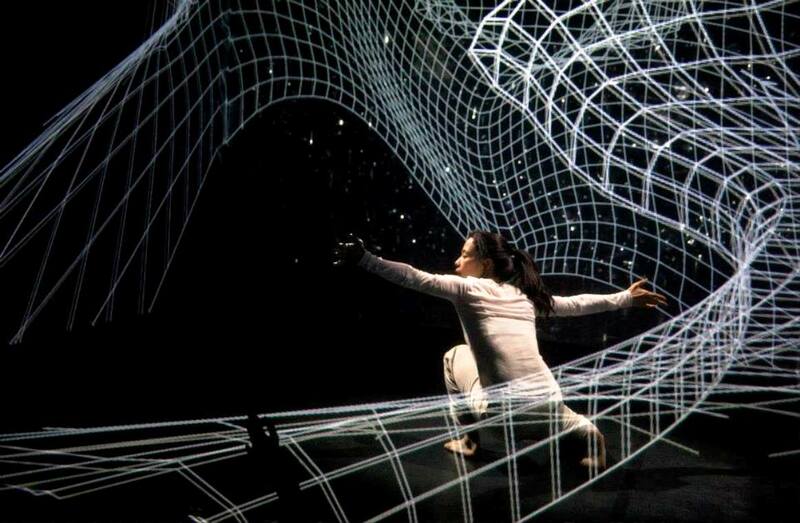 Boundaries are blurred as the real world intersects with the virtual one. 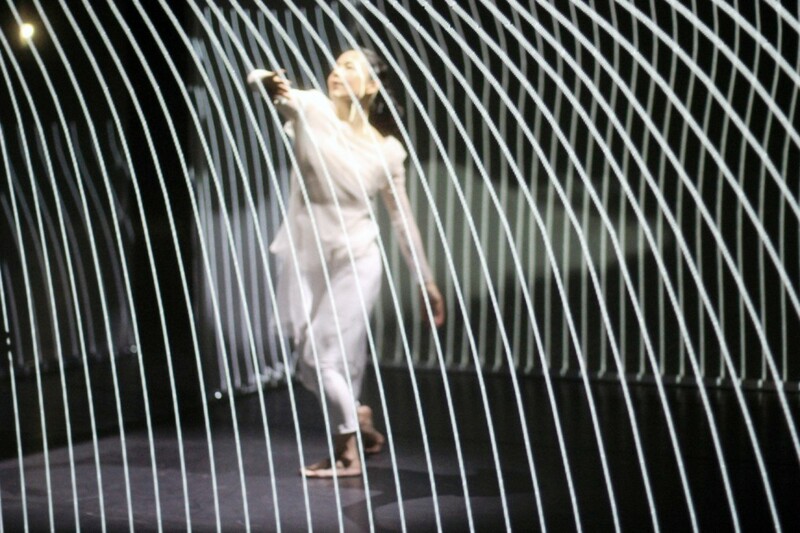 In a delicate dance between human effort and technology, Hakanaï uses technology to poetic effect. 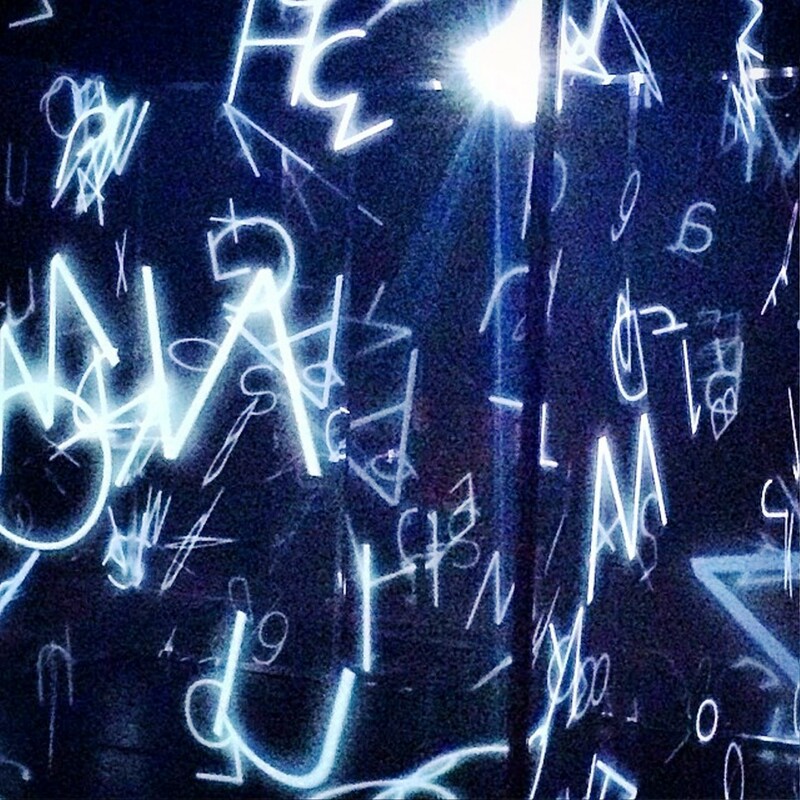 Using computing generated graphics, the abstract forms of objects, lines, points and letters become evocative worlds. In Japanese, Hakanaï is the union of two elements, one alluding to man and one alluding to the dream. Hakanaï denotes that which is temporary and fragile, evanescent and transient, and in this case something set between dreams and reality. 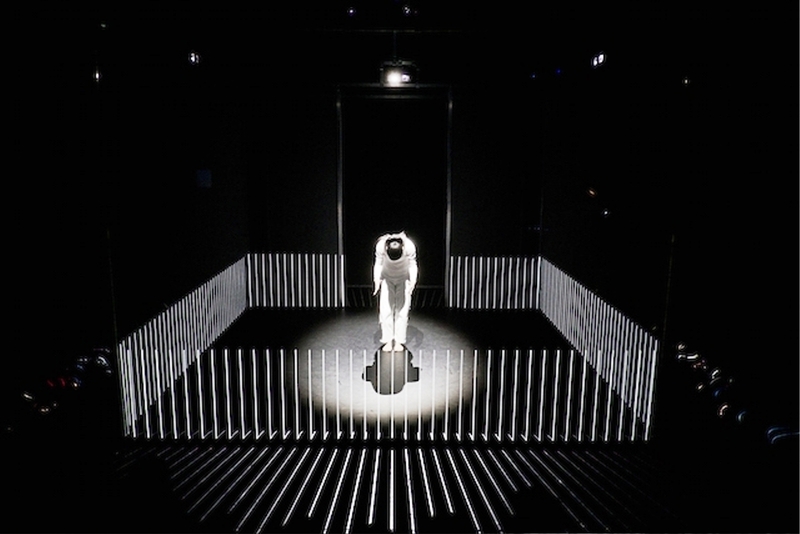 In this multi-media performance art work, “hakanai” suggests the precarious nature of existence — not quite dream, not quite real. While widely associated with nature, the term is now often used to elicit an intangible aspect of the human condition and its precariousness. This symbolic relationship is the foundation of the dance composition in which a dancer gives life to a space somewhere between the borders of imagination and reality, through her interactions with the images she encounters. 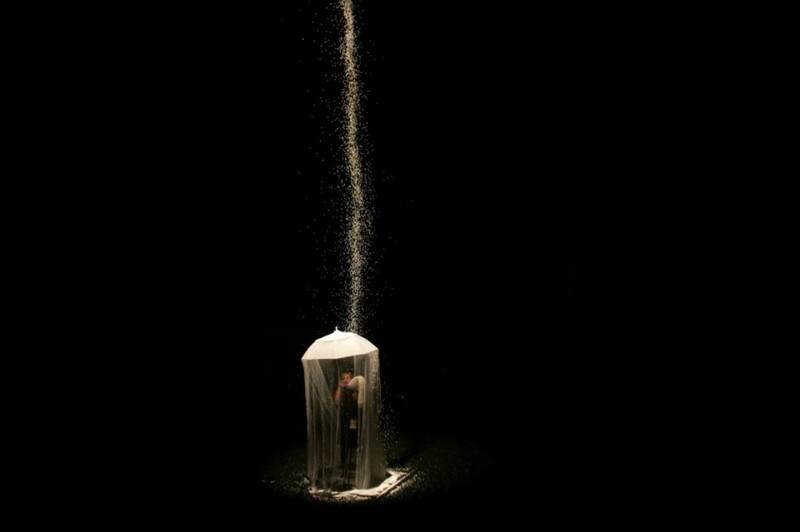 As an abstract performance work, Hakanaï does not tell a literal story, but explores the theme of an individual struggling in a strange environment. 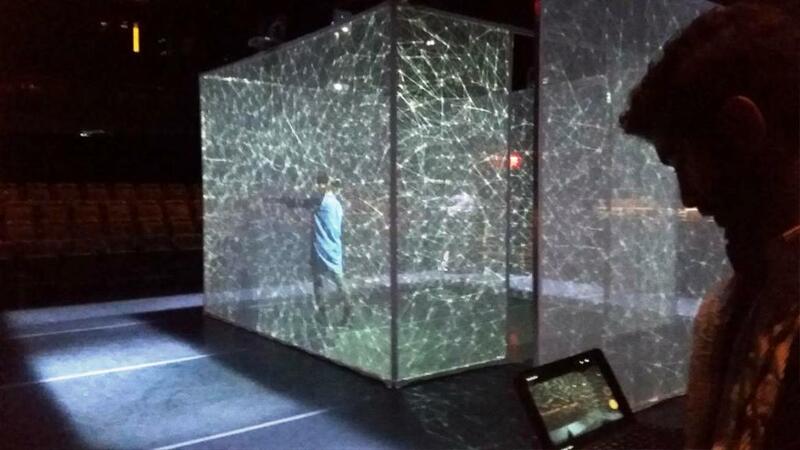 Many of the images are drawn from dreams, so in many ways the cube could be seen as a bedroom. 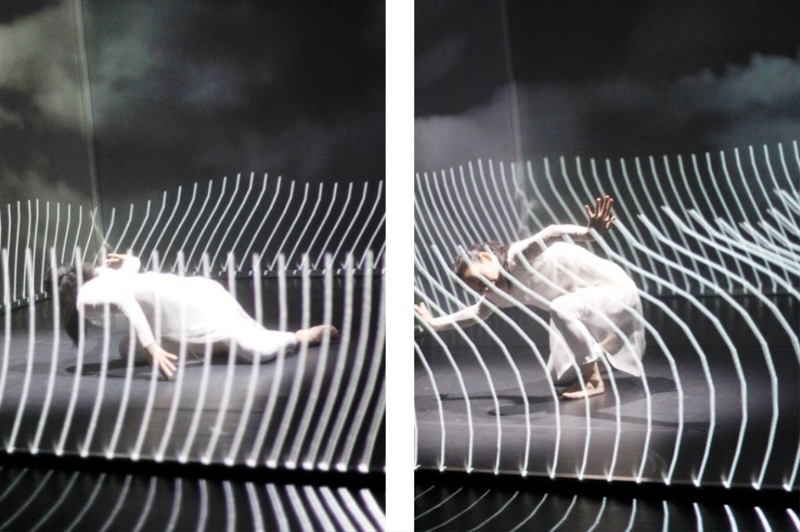 Once the dancer is “asleep,” the walls dissolve into a dream space. 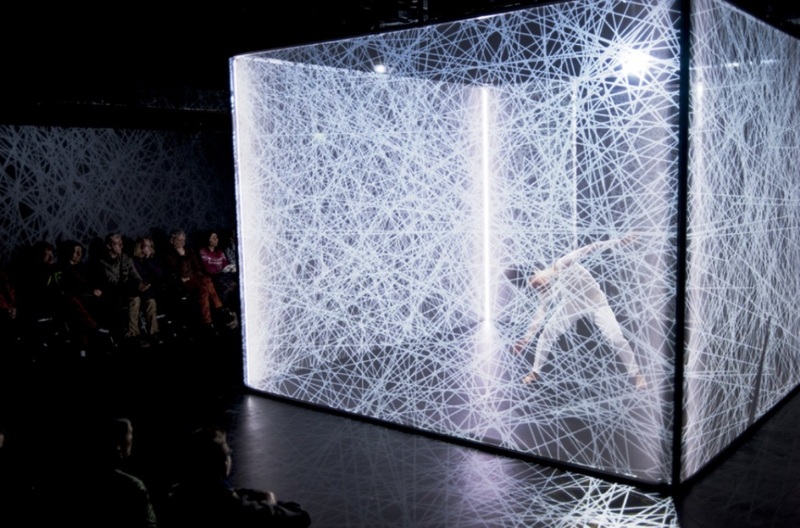 The cube becomes a cage where new struggles unfold, testing the limits of the dancer. • Slow motion—Dreams often involve an altered sense of time, so much of the movement of the dancer in Hakanaï is in slow-motion. 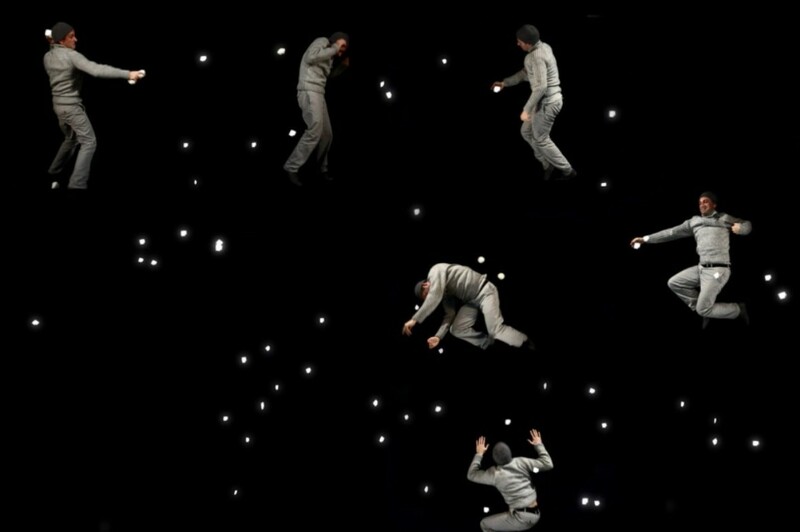 The movements of the environment surrounding the dancer are also predominantly slow and evolve slowly, creating an atmosphere of suspended animation. 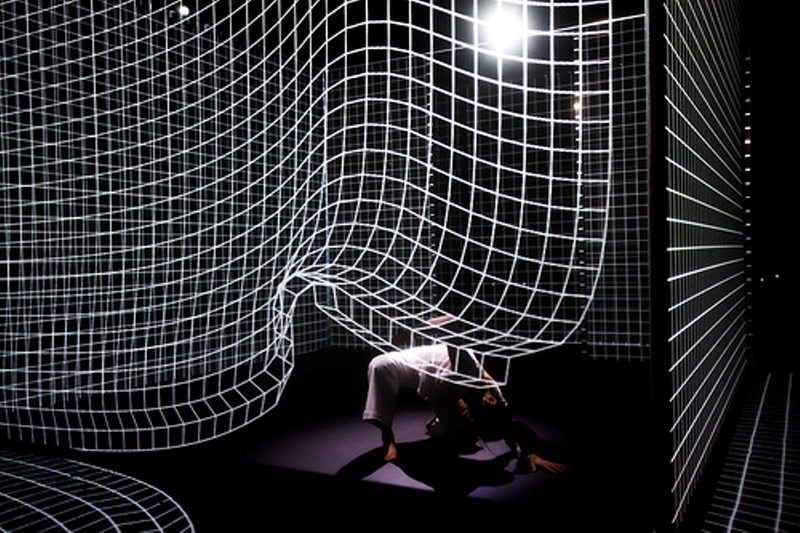 • Exaggeration—The digital imagery is large, dwarfing the dancer and creating a sense that she is contained, trapped, surrounded by the environment around her. 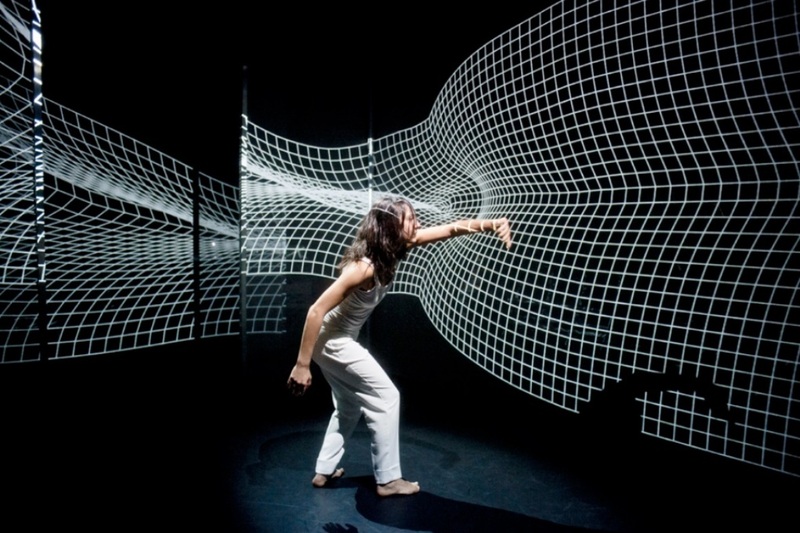 The movements of the dancer as she presses, sweeps, ducks and slashes against her virtual opponent are exaggerated and oversized, just as dream images might appear to us while sleeping. • Fragmented/non-narrative—Dream images come into our consciousness in bits and fragments, jumbled together. Thus the environment against which the dancer struggles in Hakanaï is broken into surprising parts. 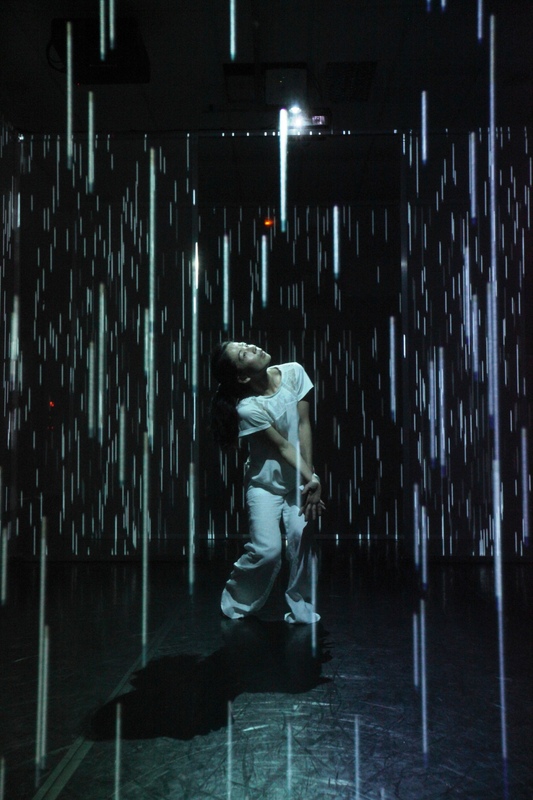 The digital images—lines, walls, curtains, and rain—have an unpredictable and ever-changing sequence that keeps the dancer responding in new ways. The theme of otherness, of a stranger in a strange land is present in many works of art, from The Wizard of Oz to Alice in Wonderland, from The Phantom Tollbooth to Gulliver’s Travels. From Greek mythology (Orpheus in the underworld and Odysseus on his odyssey) to contemporary science fiction and television (Star Trek and Lost, among so many others), the dilemma of being “other” in an unfamiliar place is the source of many great stories. Hakanaï uses the theme of a stranger in a strange land in an evocative, abstract way. 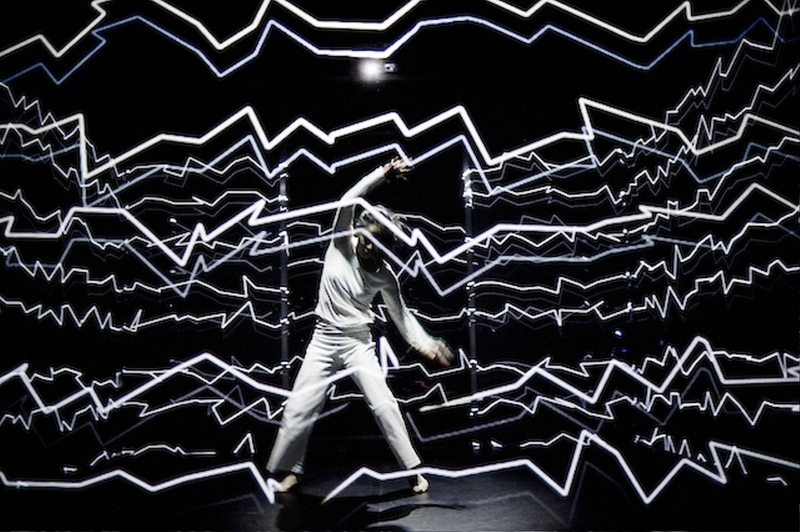 The choice of a live human performer as the stranger in a magical world of virtual images could have multiple interpretations: a human wrestling with technology, or just pure imagination. 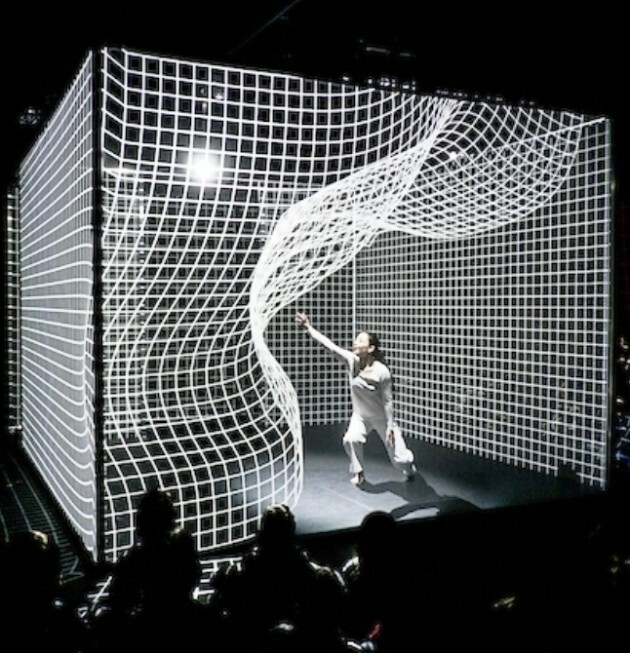 The French creator/directors Adrien M and Claire B, set a single dancer inside a “cube” of four screens, onto which a graphic universe is projected. 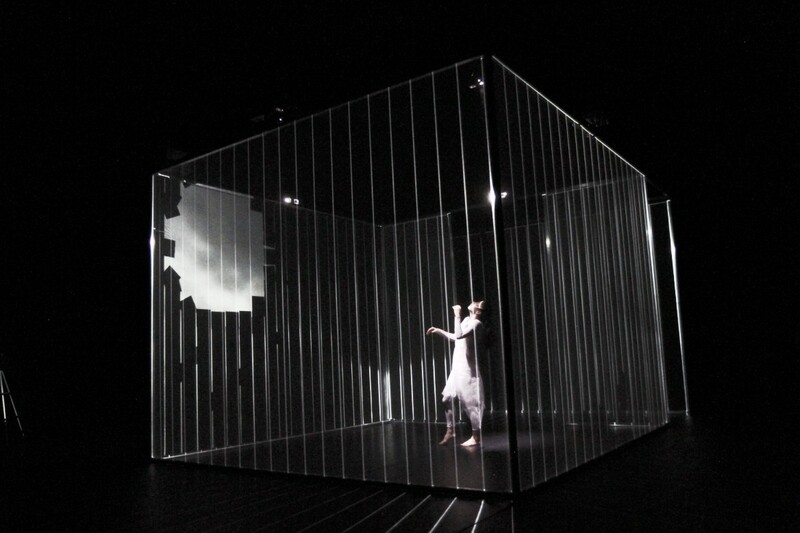 Inside the cube fashioned from translucent veils, a dancer takes a visual journey into a 3D space between dreams and reality. 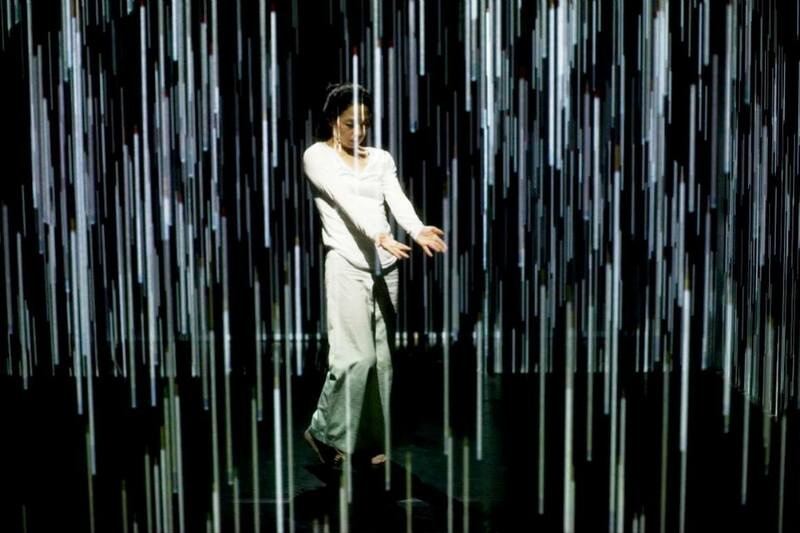 Using a computer app, eMotion, developed especially for the work, a dialogue evolves between the human dancer and the images, moving in real time. 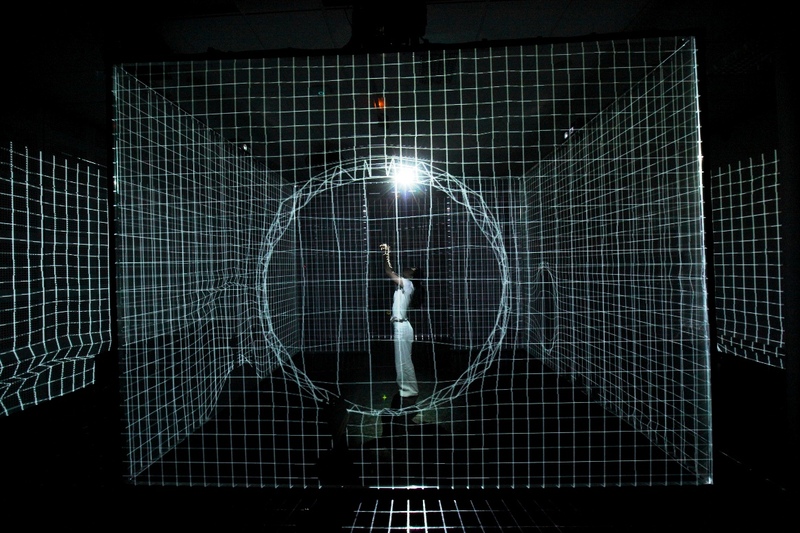 Based on a variety of physics models, the digital images respond to the live performer in the center of the cube. 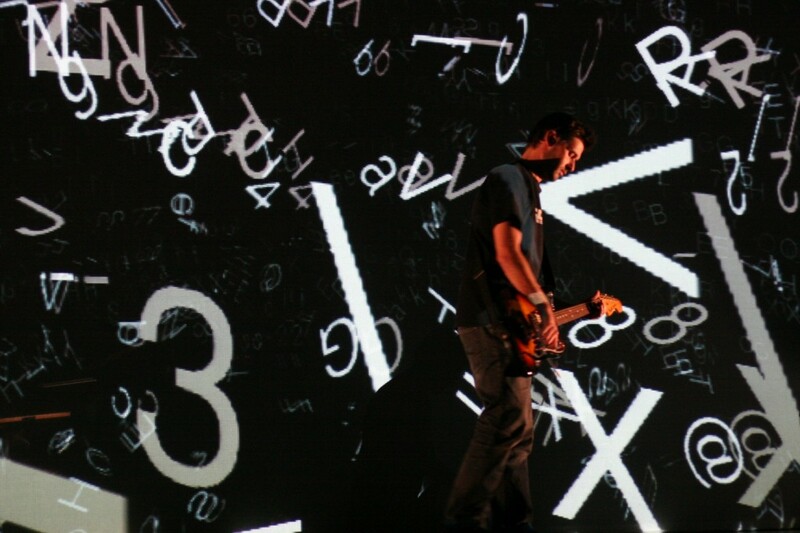 The images are on-stage animations that move in physical patterns according to the rhythm of the live sounds that they follow. 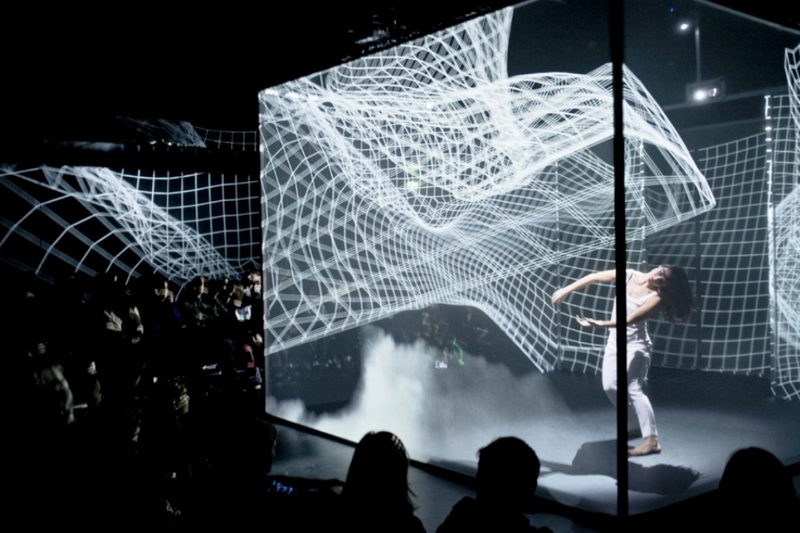 The performance’s outcome is the revelation of a digital installation to its audience. 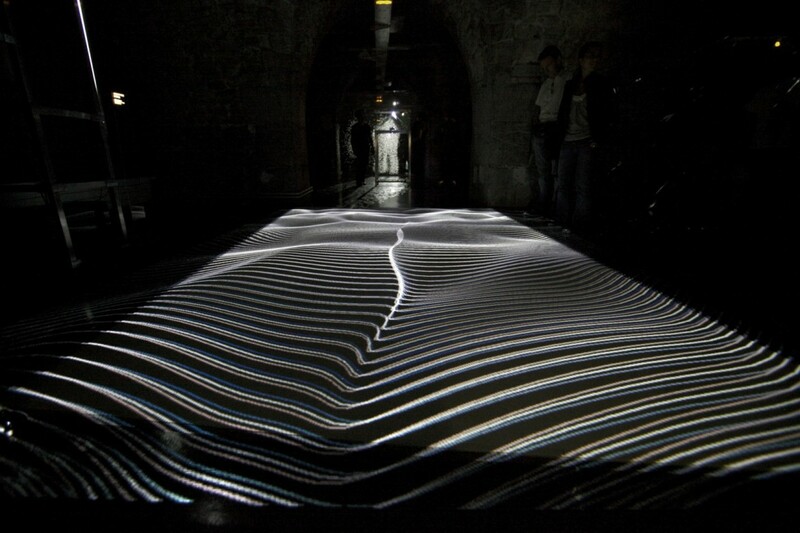 Christophe Sartori, also a visual artist, is the sound composer of this creation. 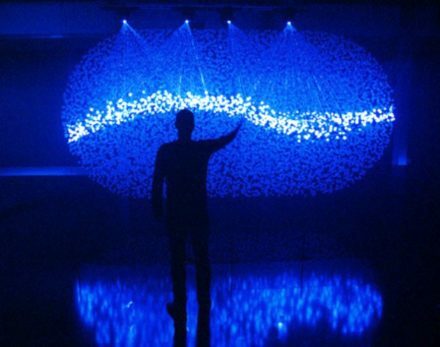 His score for the work uses sounds from various sources, including environmental noise, electronic and acoustic music. He has worked with Adrien M and Claire B from the beginning in 2004. 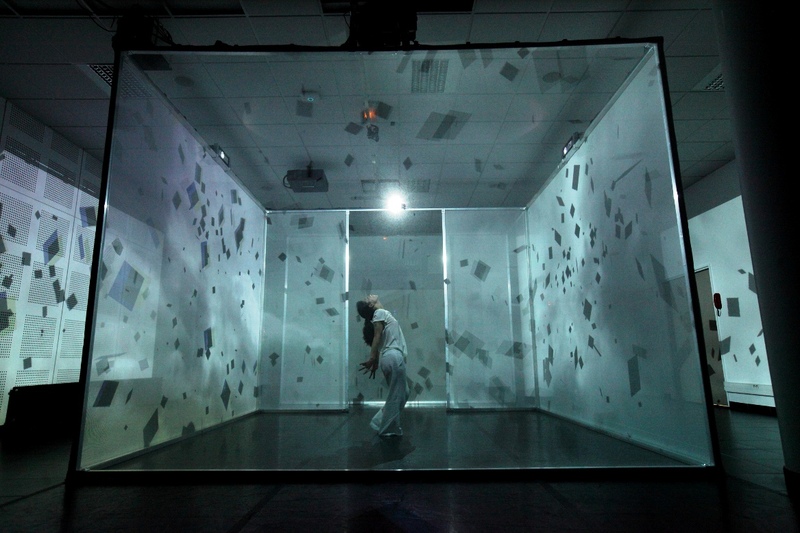 The sounds, also produced live, participate to the creation of an interactive environment that evokes in turn a bedroom, a cage, the inner world and radical alterity, thus conveying a poetic space outside of time. 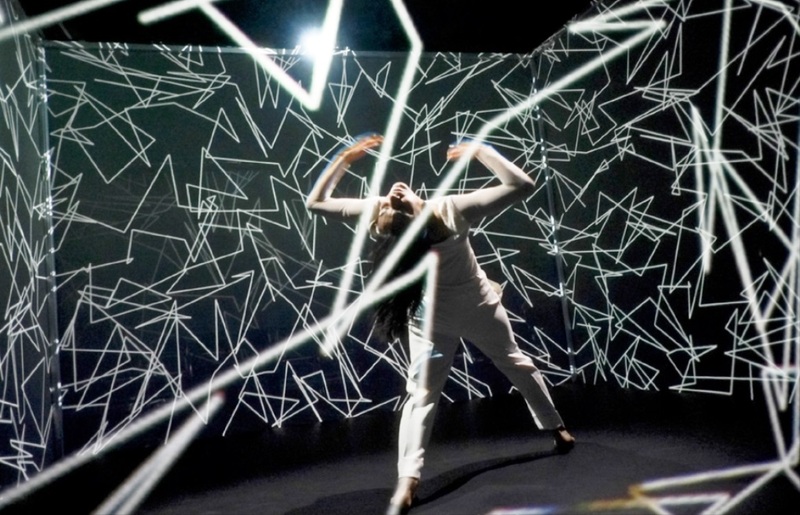 The choreographed performance installation combines video projection mapping, CGI, and sensors to dynamically respond to the movements and proximity of its performer. 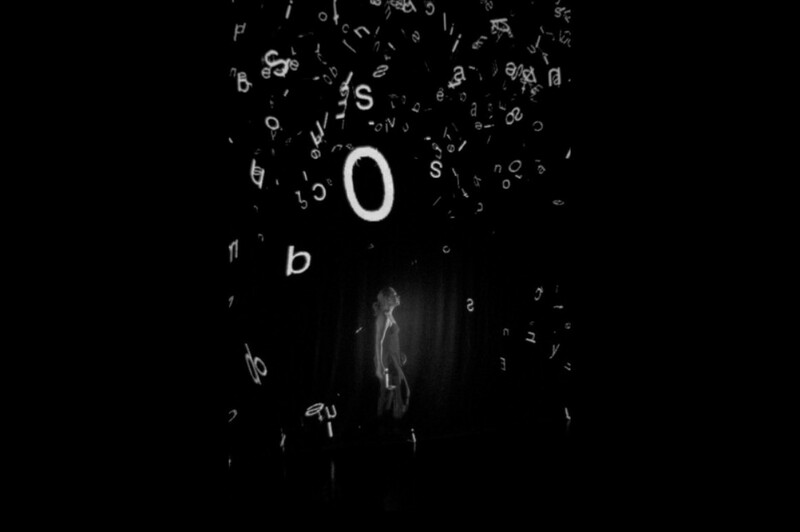 Its visuals and sounds are generated and animated live, offering a uniquely different performance for each and every iteration. 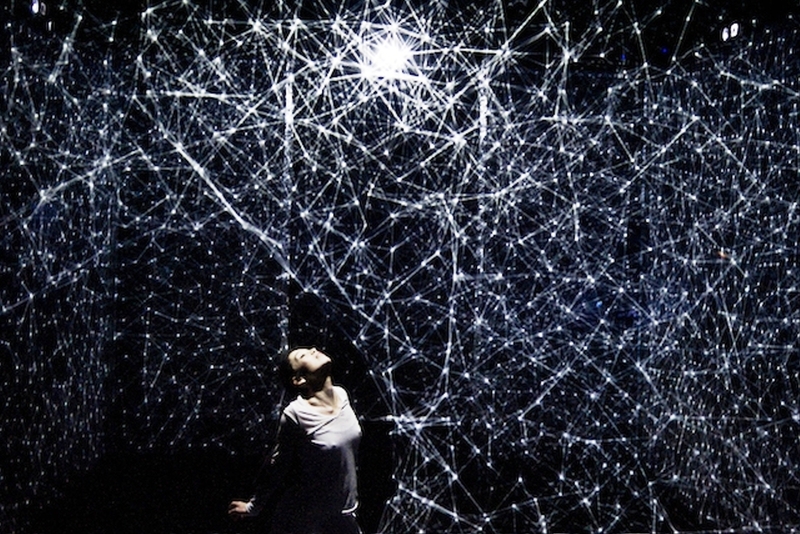 It aims to find a synaesthesia between the lighting and the movement of images and bodies. 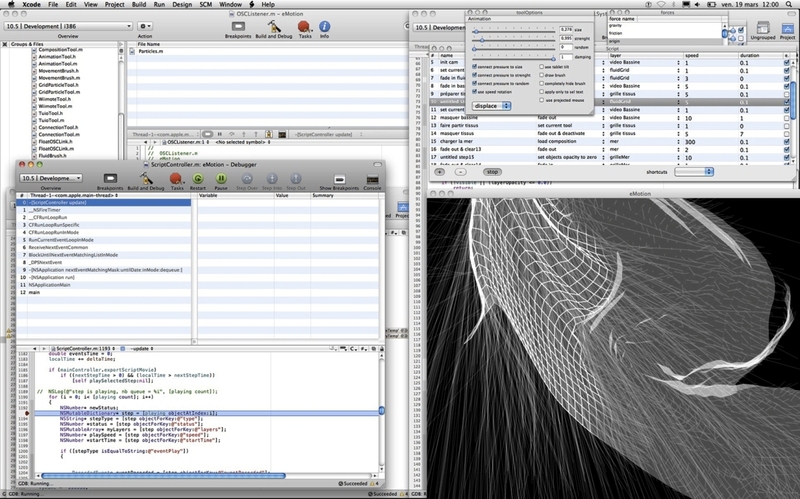 Its appeal lies in the one-on-one exchange that takes place between performer and complex programming. 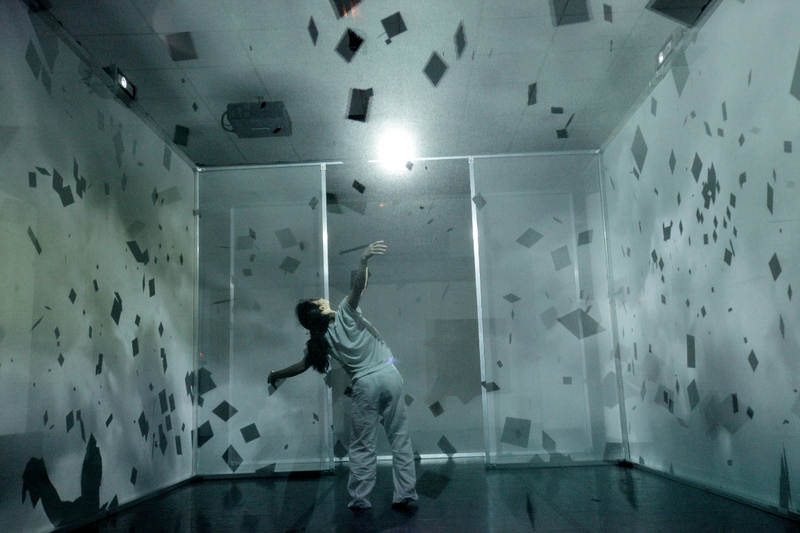 Lively and performed in real time – as with the images – the sound scape is a mix of electronic music, recorded acoustic instruments and realist noise environments calling to the imaginary. For instance the electronic samples created live hybridize the electro-acoustic composition of a ukulele or of an electric guitar. 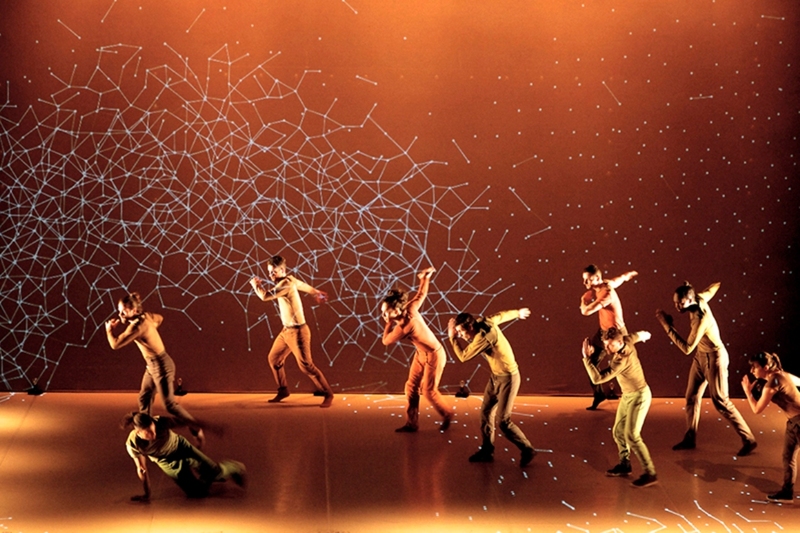 Four projectors create a graphic universe in constant evolution, featuring images generated in response to the sound score and the dancer’s movement. 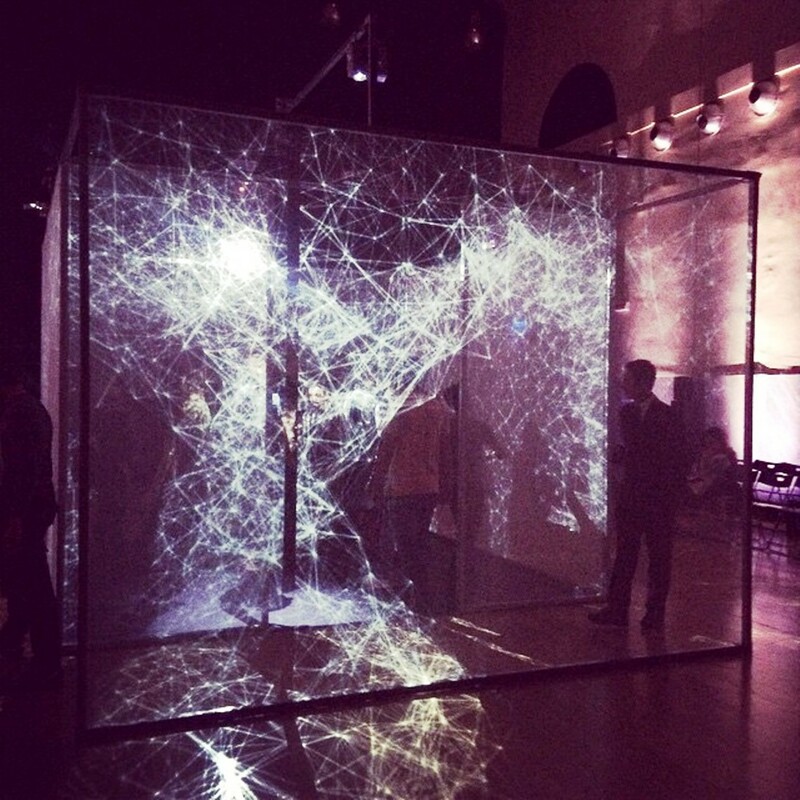 The projectors reveal on the tulle a graphic universe in constant evolution. 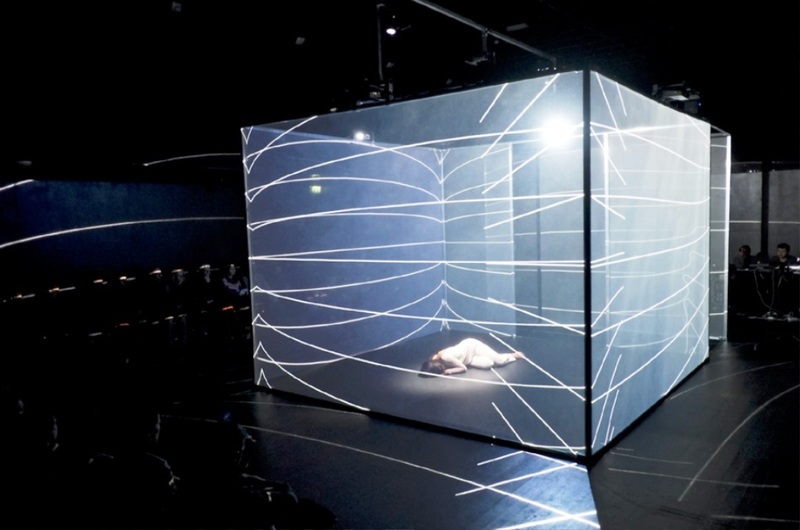 The video projectors produce 360º images on four vertical panels forming a cube around the dancer. 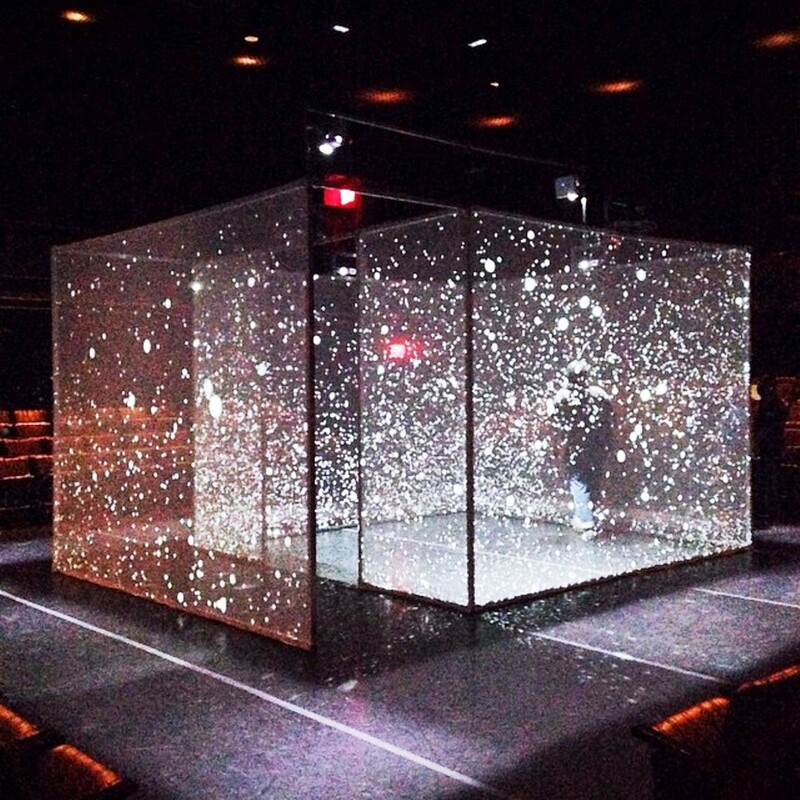 The audience experiences the performance from all sides, seated around the cube when the dancer enters. 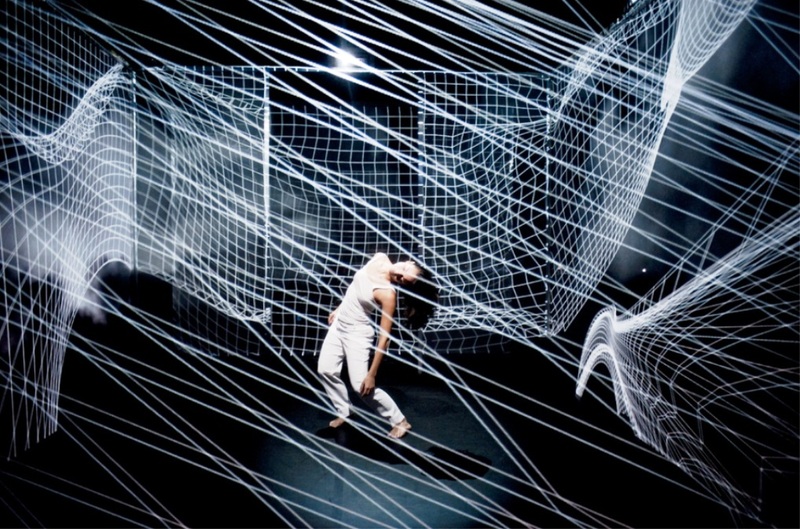 As the digital images appear, surrounding the dancer, she is enveloped and Hakanaï becomes both a dance composition and a digital installation. 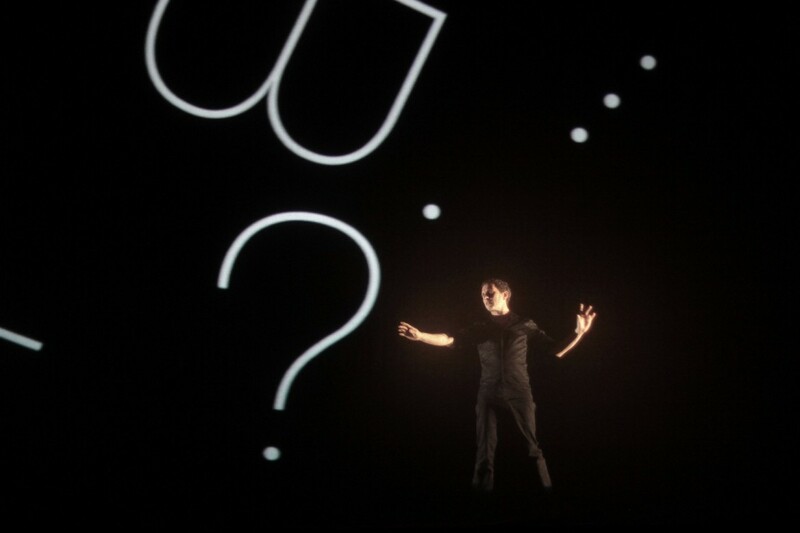 The audience experiences the performance in several stages. 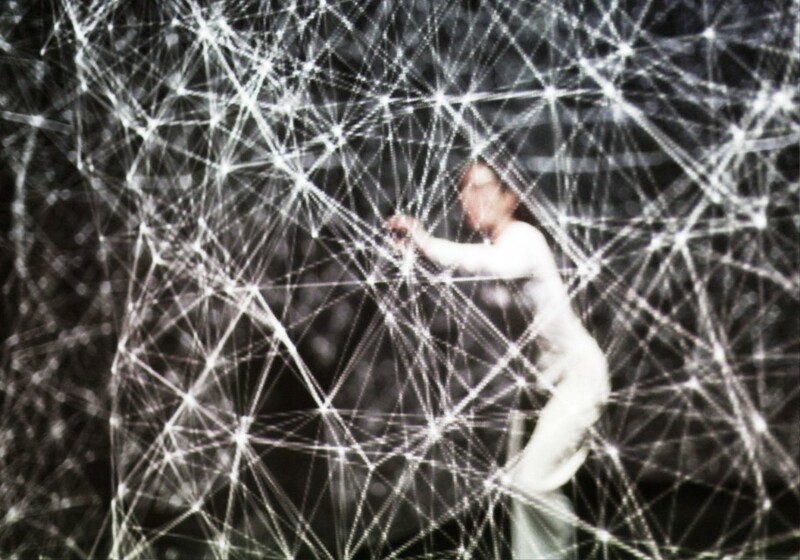 They first discover the exterior of the installation. As the dancer arrives, they gather around to watch the performance. 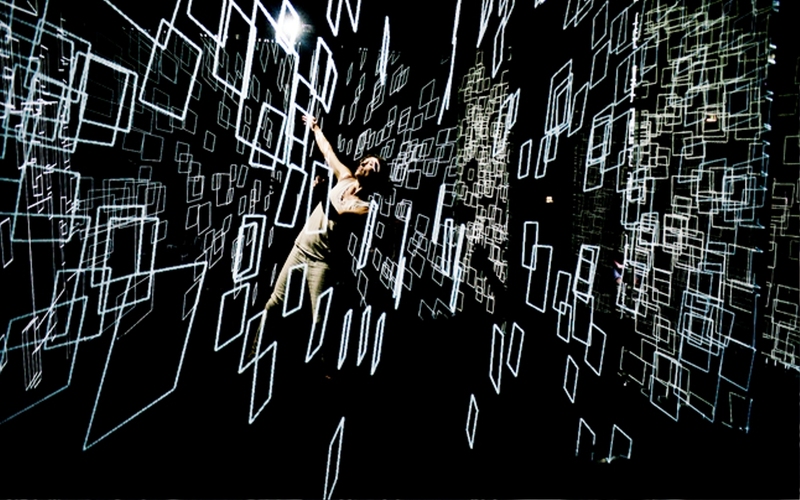 When the choreography has ended, the audience can then take some time to wander amongst the moving images. 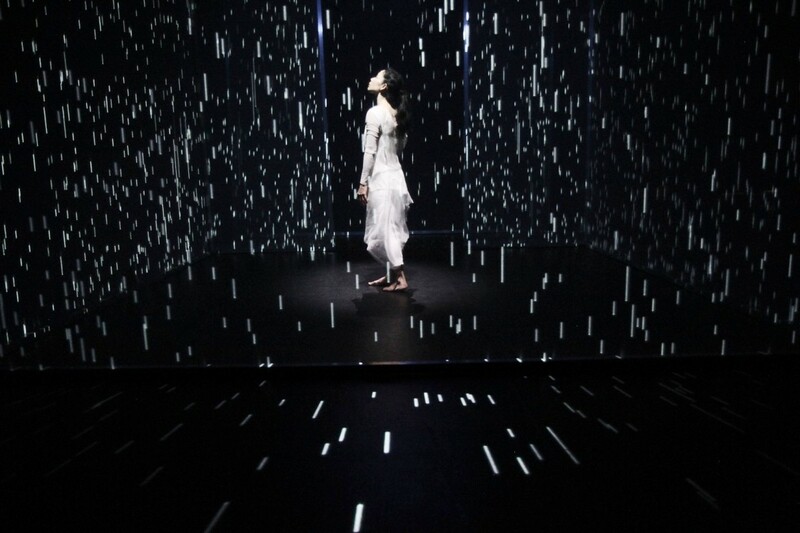 Hakanaï’s digital world is produced and generated in performance through the eMotion app, which is based on a physical animation system. 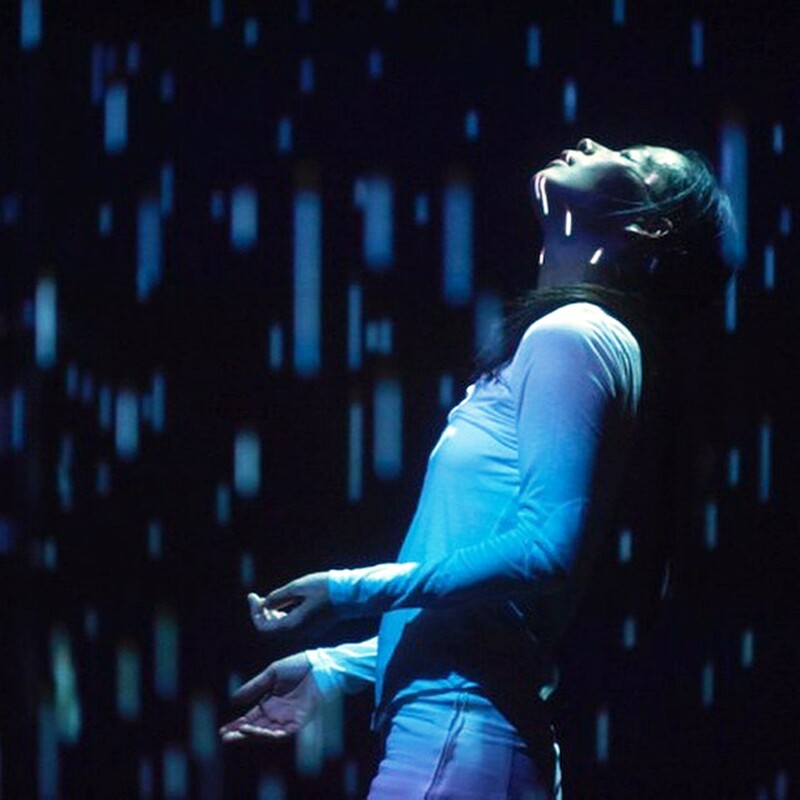 Using motion capture and data capture systems (similar to those used in Wii (Rock Band 2), Kinect (Star Wars), leap motion (Stan Lee’s Verticus), and other interactive video game form), eMotion is able to create images that interact with the live performer. 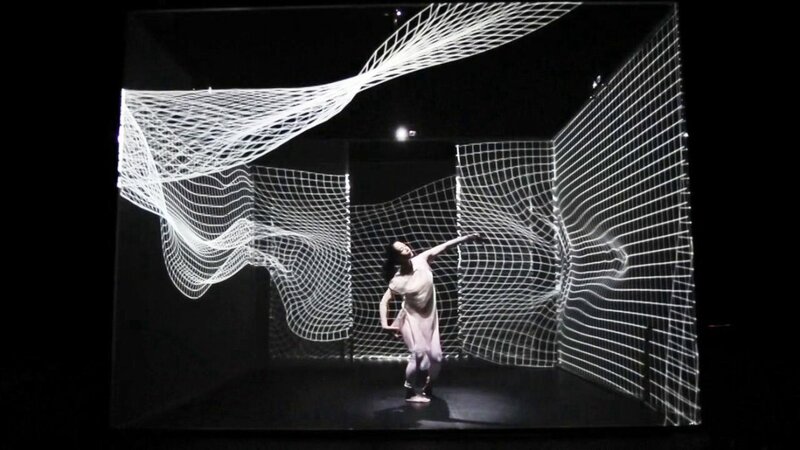 A wall made of lines might be swept into a bundle by the live performer’s hands, or waves of digital water might pour over the dancer as she crumples in a digital whirlpool. 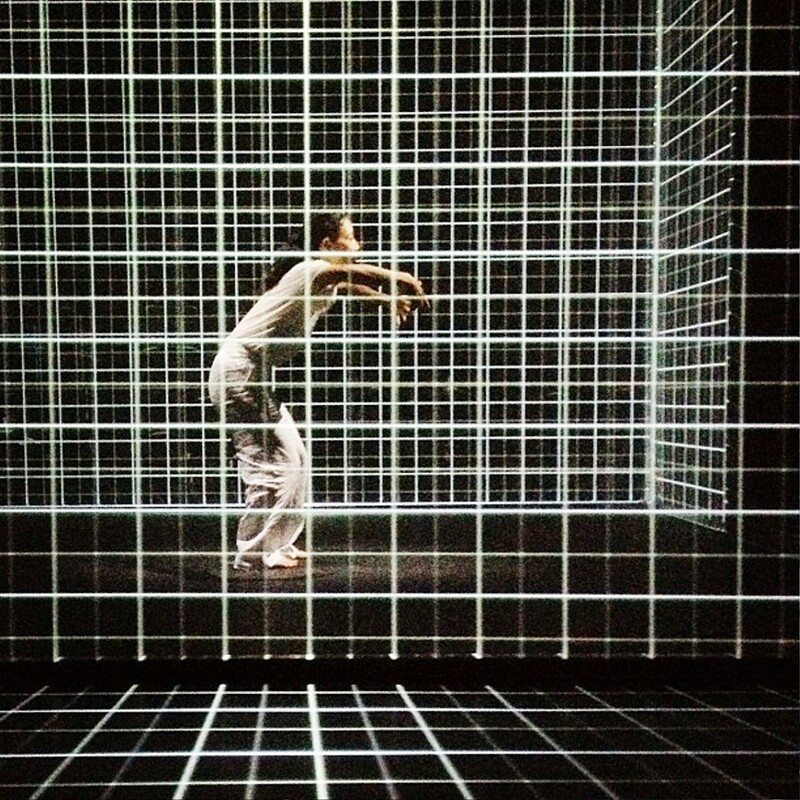 The eMotion app acts as an editor, allowing the artist/director to define a digital world around the dancer. Concretely, the implementation of these principles is the result of a close relationship between computers, electronics and software all through the computer program eMotion. 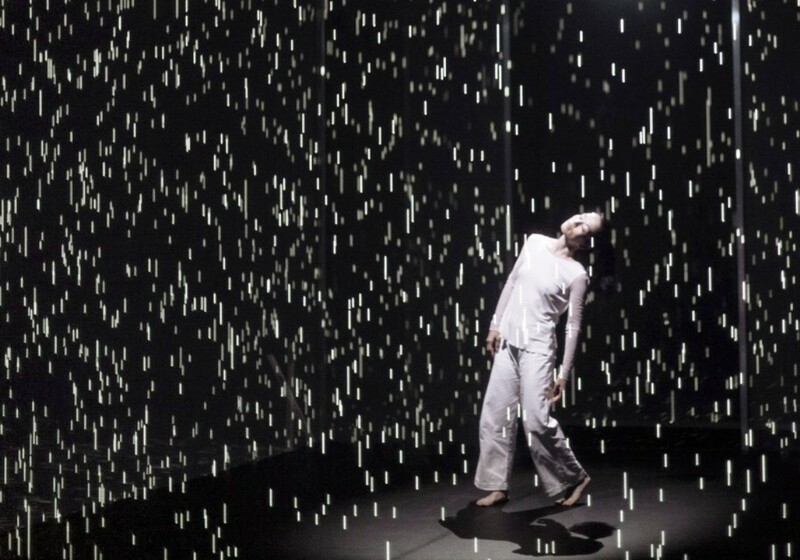 eMotion is a tool allowing the experimentation of the relationships between virtual elements and data taken from the real world. 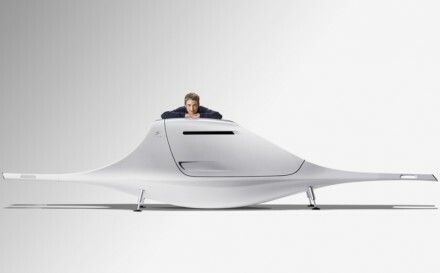 It is based on physics models and is at the heart of and at the beginning of all of the company’s projects. The equipment is also developed internally. In order for the software to best express itself we build bespoke computer for each project, taking into account all aspects of the show’s life, both economical and practical. 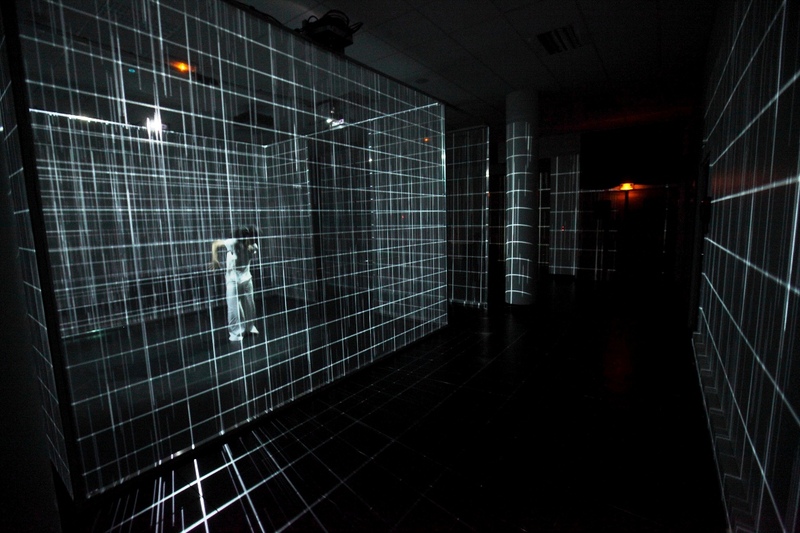 In addition we use data capture systems used for video games (mainly Kinect by Microsoft). Indeed, the technical challenges of interactions in the video game industry are similar to ours, although they have access to engineering means far more efficient. 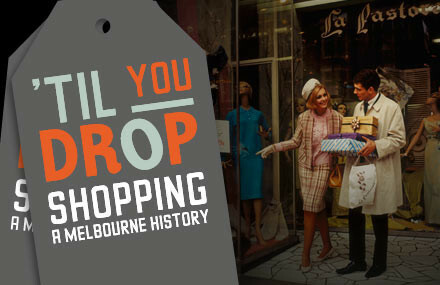 Furthermore, their widespread commercialisation makes them more affordable while very reliable. 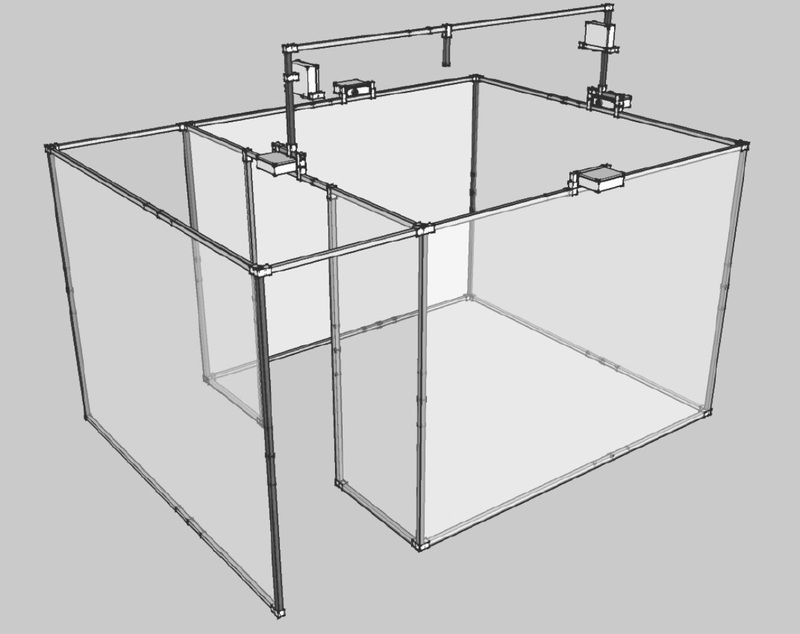 Interfaces for interactions in a volume: For the first time we have to create interactions that are truly three dimensional and not just on one single plane. Therefore we have to develop precise and intuitive means of manipulating data whether it be one the axis X (horizontal), Y (vertical) or Z (depth). 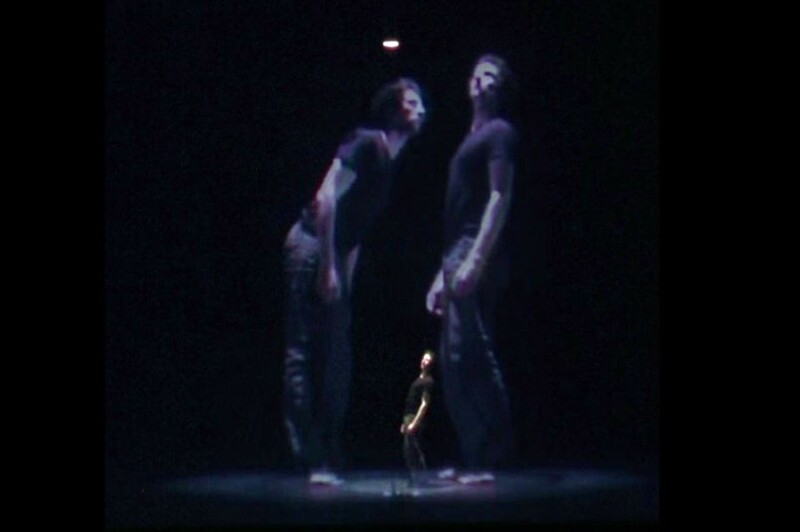 Lighting of a body in a contained space: In order for the dance to exist with the image without being overpowered by it, the dancer must be brilliantly lit. 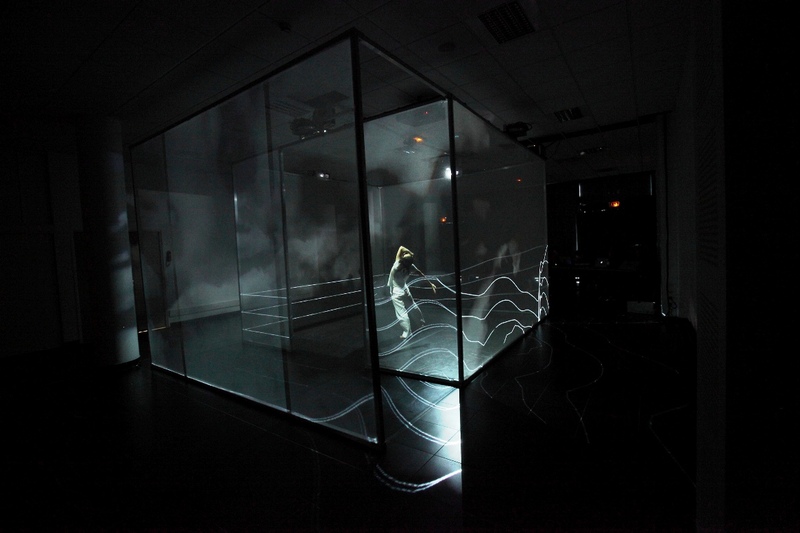 And conversely, for the illusion to work, the tulle must only be lit by the video projections and the global lighting level must remain as low as possible so as not to affect the transparency of the material. Our choice is therefore to only light the essential, the dancer’s body, thanks to an automatic tracking system (based on a capture) and in this way minimising any glare. 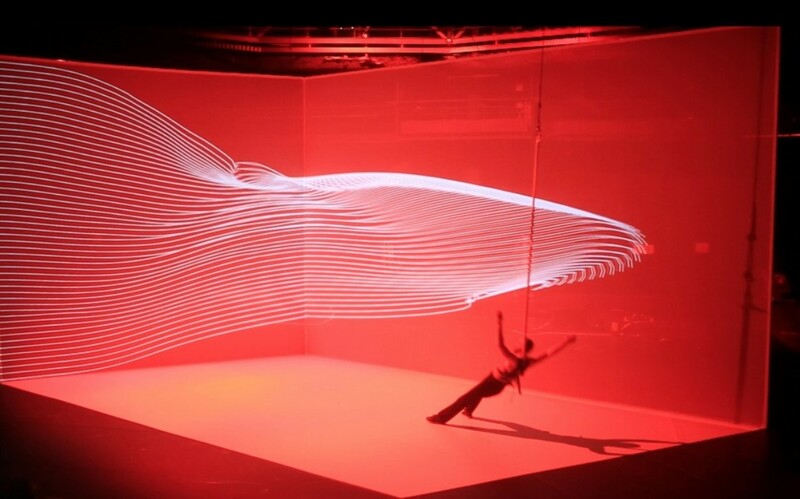 It is based on a physical animation system and it aims at exploring how motion can convey emotion. In other words: it is an editor that allows you to define a graphic world composed of objects in the shape of points, lines, images, videos, and to define the way you will interact with them (sound, kinect, wiimote, leap motion, etc.). 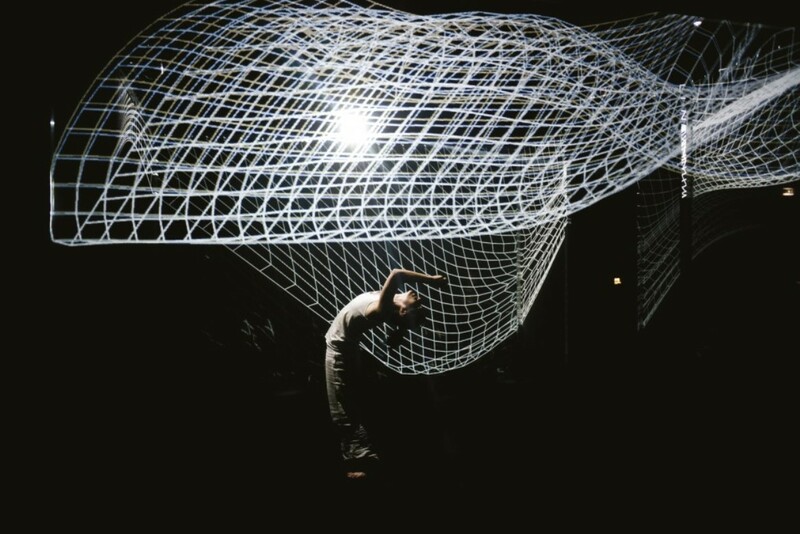 All images are thus generated, calculated and projected live, in order to create a sensory synthesis, a tangible reality on stage, defined by a key principle in the digital programming: focusing on the inner energy that causes objects to move, rather than on their actual movement patterns. 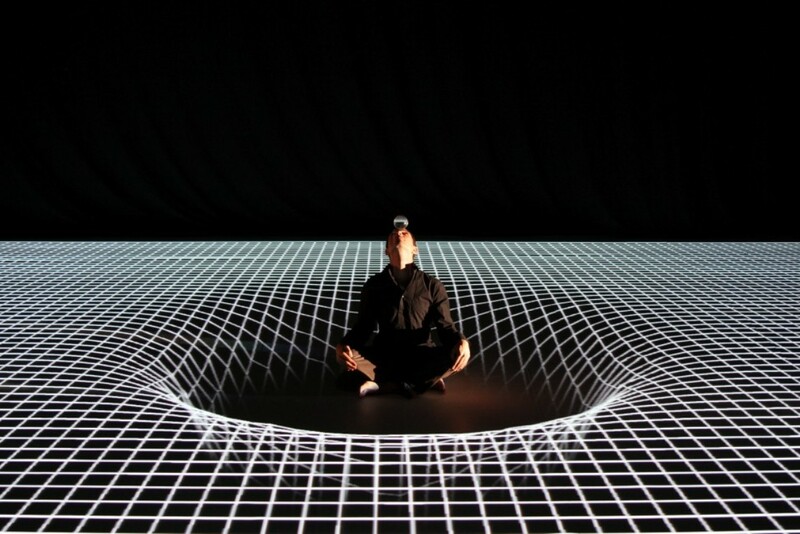 Thereby, maths and digital technology become possible tools for poetic composition. 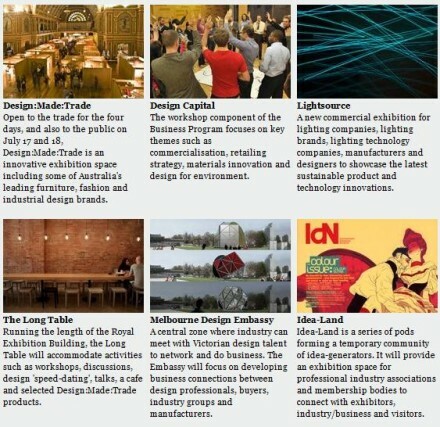 Deviating from their original use, they allow us to create novel sensory, although synthetic, spaces. They open doors to the realm of the imaginary and virtual world, coinciding with reality, to deliver all its evocative power. 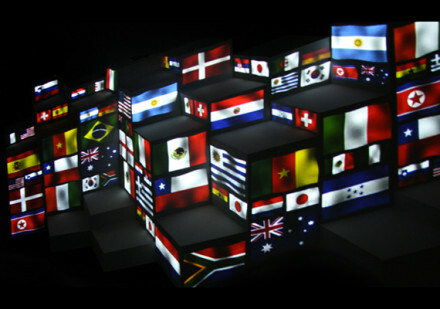 In Hakanaï, the scenography includes six video projectors. 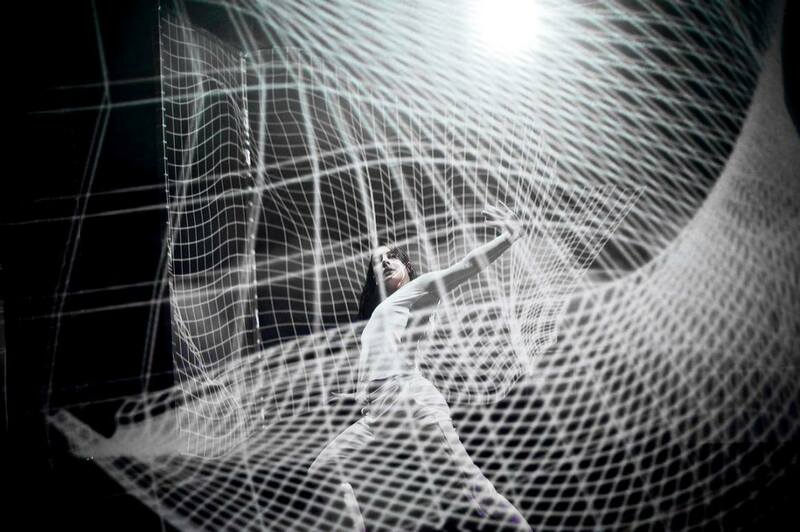 Four of them are used to create a 360° coherent image on the vertical tulle panels. 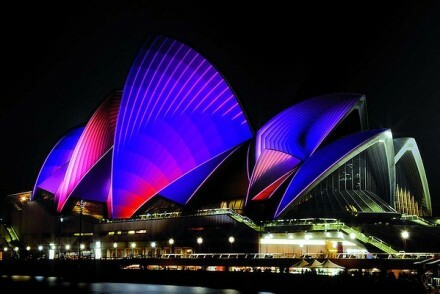 The other two are used as reactive lighting sources. 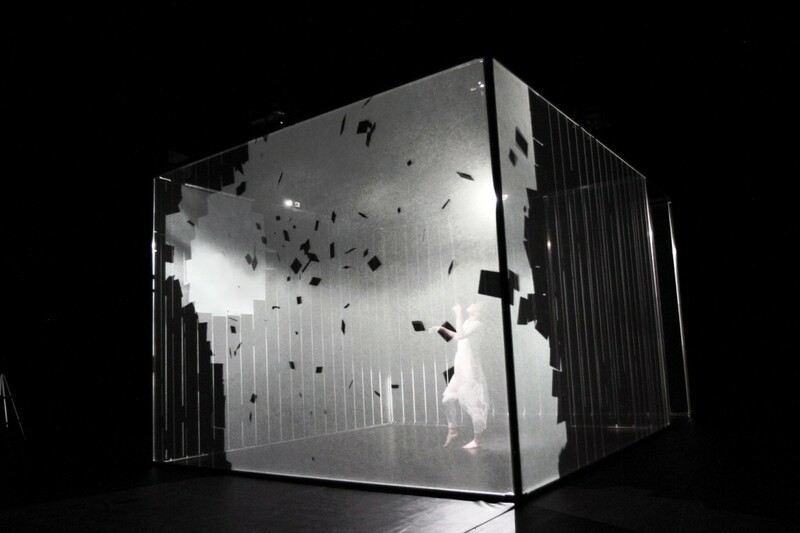 The box in turns represents: the bedroom where, once the barrier of sleep is passed, walls dissolve and a whole new inner space unfolds; the cage, of which one must relentlessly test the limits; the radical otherness, as a place of combat with an intangible enemy; the space where impossible has become possible, where all the physical points of reference and certitudes have been shaken. Through the encounter of gesture and image, two worlds intertwine. Les Subsistances, Lyon / Centre Pompidou-Metz / La Ferme du Buisson, Scène nationale de Marne-la-Vallée, Noisiel / Hexagone Scène Nationale Arts Sciences – Meylan / Les Champs Libres, Rennes / Centre des Arts, Enghien-les-Bains / Maison de la Culture de Nevers et de la Nièvre / City of Lille / DICRéAM. The Adrien M / Claire B Company is accredited by DRAC Rhône-Alpes, Rhône-Alpes Region and is supported by the City of Lyon. 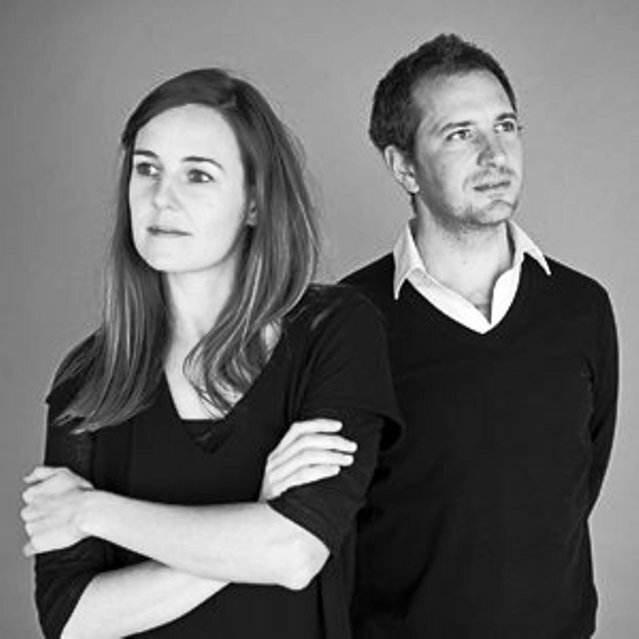 Adrien Mondot and Claire Bardainne are looking to create digital works that are alive, mobile, organic, ephemeral and sensitive. 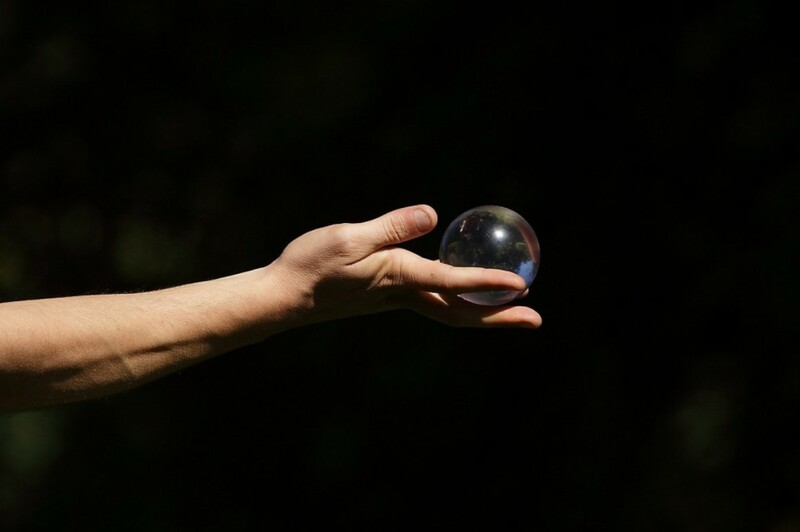 Adrien Mondot is a multi-disciplinary artist, computer specialist and juggler. 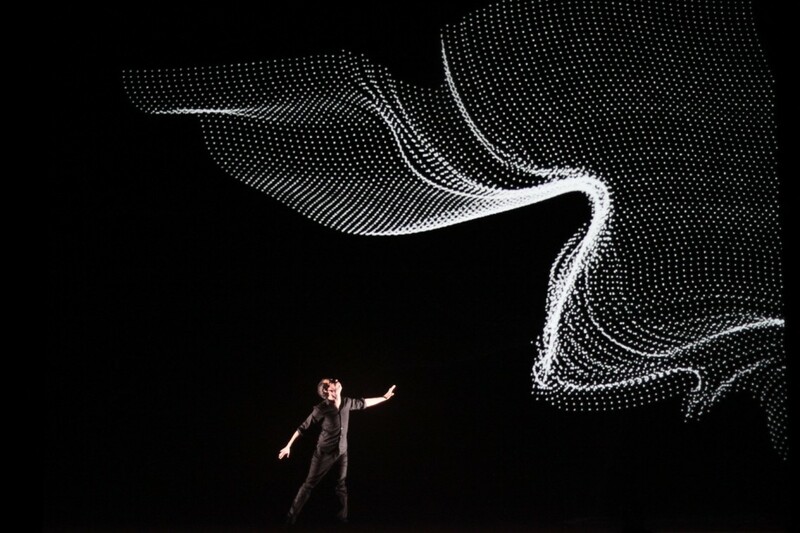 His work explores motion at the intersection between juggling and computer innovations. He founded Adrien M in 2004, and joined forces with Claire B in 2011. 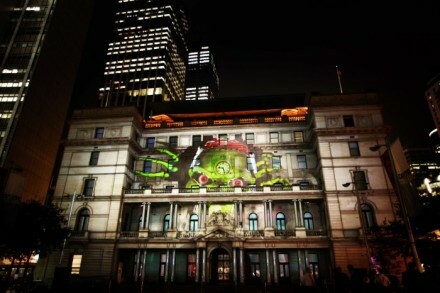 Claire Bardainne is a visual artist, graphic and stage designer. 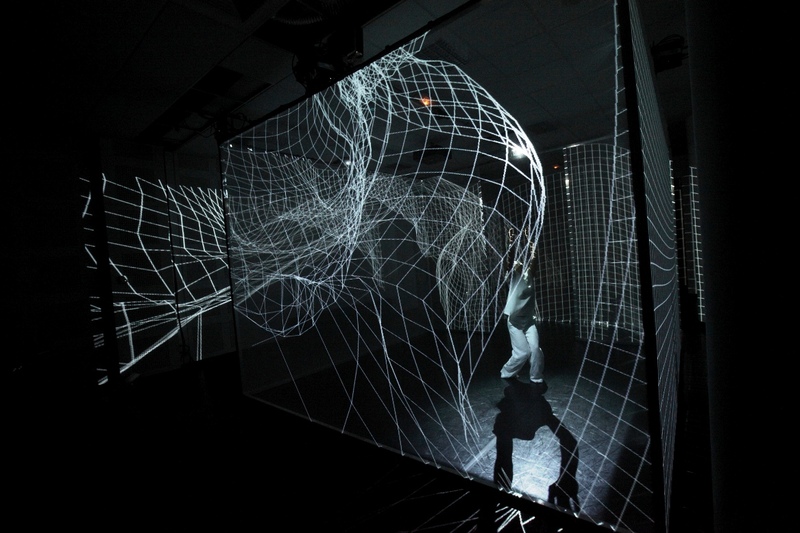 Her research focuses on the link between graphics, space, real, and virtual boundaries. She is a graduate of Ecole Estienne and ENSAD in Paris. 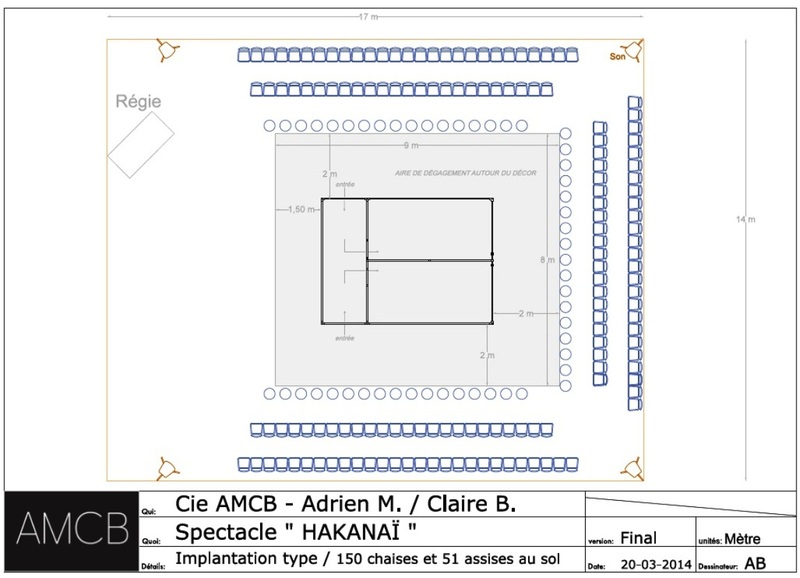 The Adrien M / Claire B Company has been acting in the fields of the digital arts and performing arts since 2004. 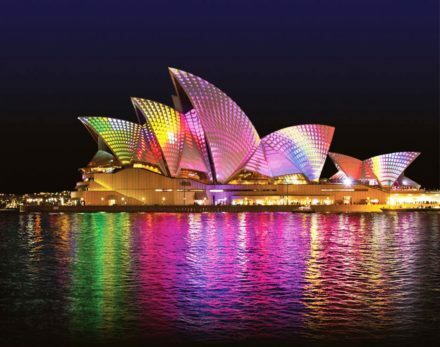 They create many forms of art, from stage performances to exhibitions combining real and virtual worlds with IT tools that were developed and customised specifically for them. They place the human body at the heart of technological and artistic challenges and adapt today’s technological tools to create a timeless poetry through a visual language based on playing and enjoyment, which breeds imagination. 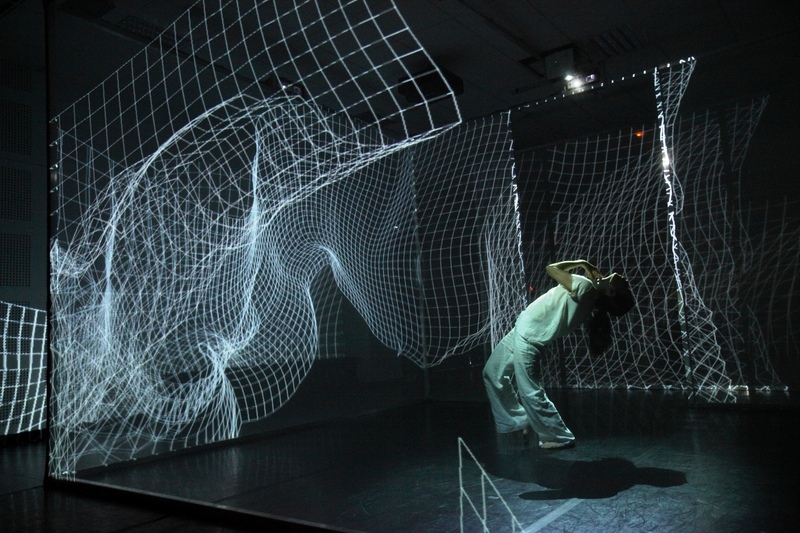 The company operates as a research and creativity workshop based out of Presqu’île in Lyon. 1. 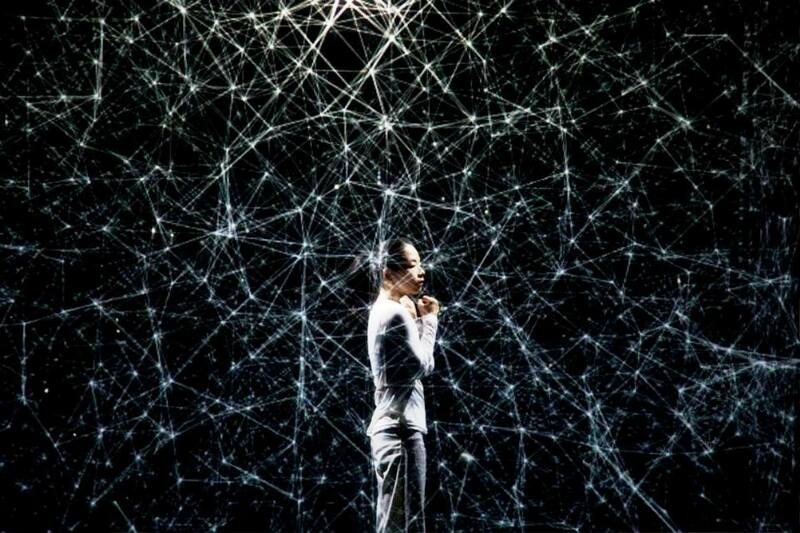 A thoughtful digital technology at the service of performing arts. 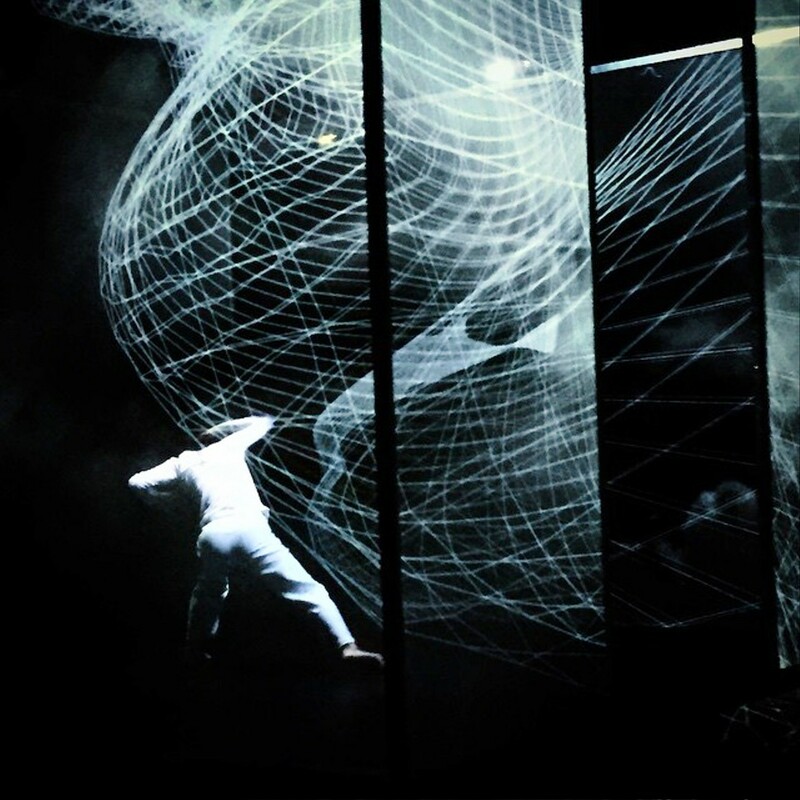 In order to preserve the force of the live presence on stage and then transpose it to the digital medium, all the images are generated, calculated and projected in real time. 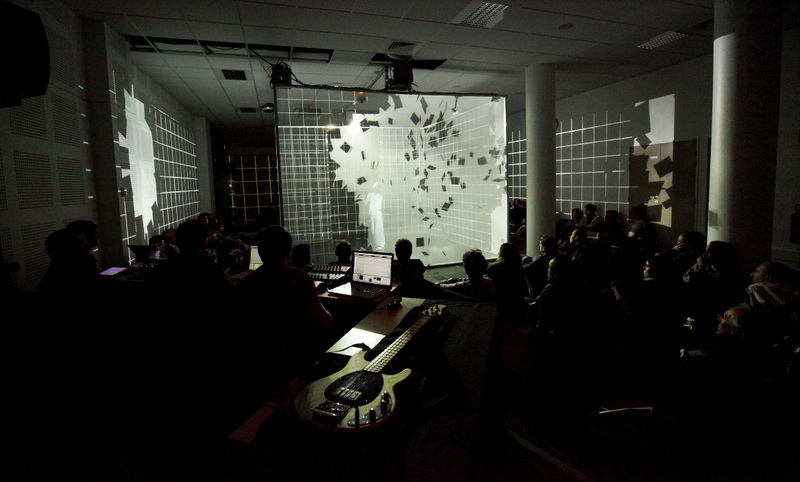 Through a musical approach to the images and an instrumental approach to the computer program, the experience of the moment is given pride of place. 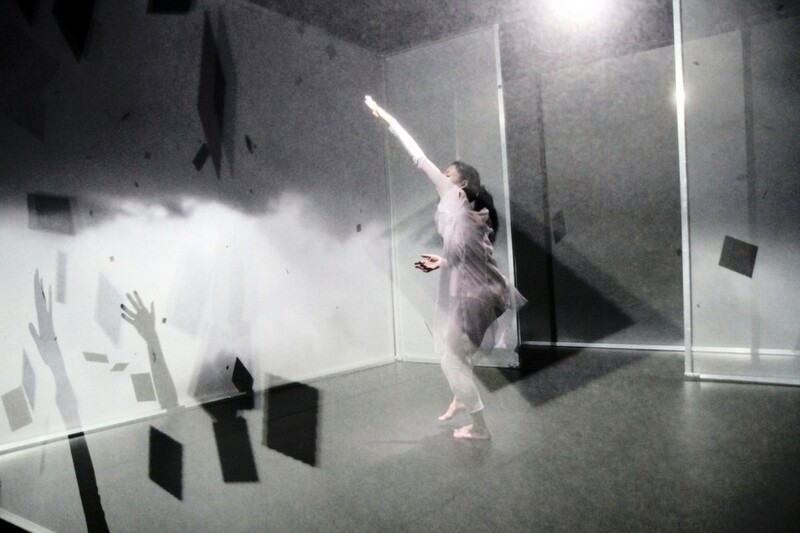 Using capturing systems from video game technology (for their power in calculation and reactivity) combined to a work of virtual puppetry (for the value of human intuition and its dreaming ability) allow us to offer the audience this sensitive experience. 4. 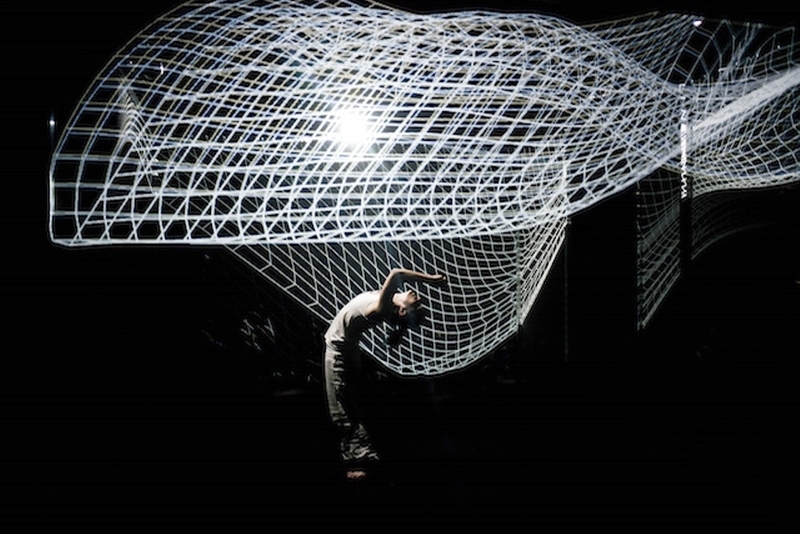 The use of the unconscious experience of movement. The computing and mathematical models come from the observation of Nature. This private and unconscious experience of movement creates an imaginary world where abstract graphic forms become evocative worlds. 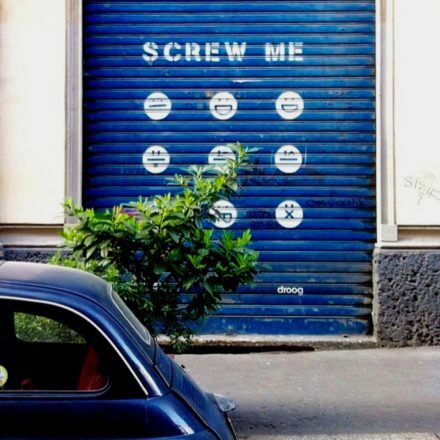 Grand Fracas issu de rien. 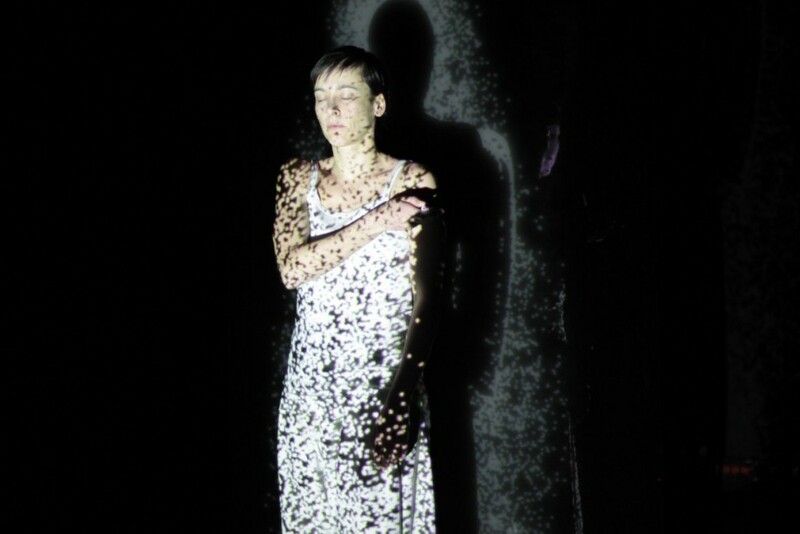 Adrien Mondot and Claire Bardainne (Adrien M and Claire B) have been researching and producing digital and performing art works since 2004. 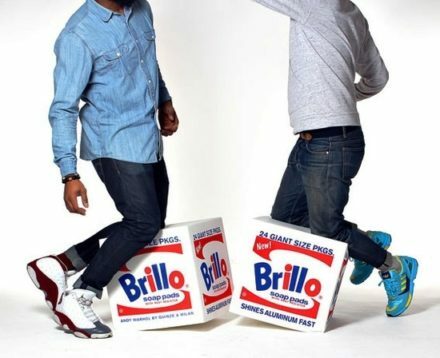 Their work together has included stage performances, installations, and exhibitions in France, Japan, the US, Switzerland, Canada, Thailand, Ireland, Argentina, Croatia, and Russia. 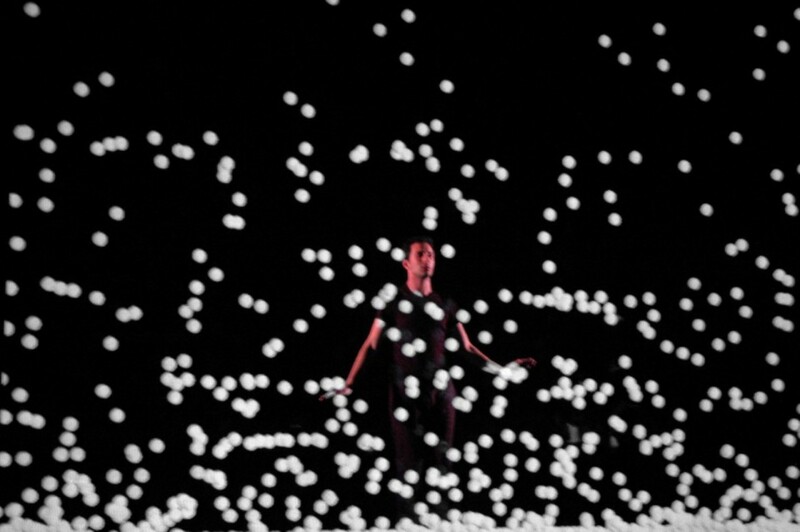 Using IT tools customized for their work, Adrien M and Claire B place the human body at the center of technological and artistic challenges. 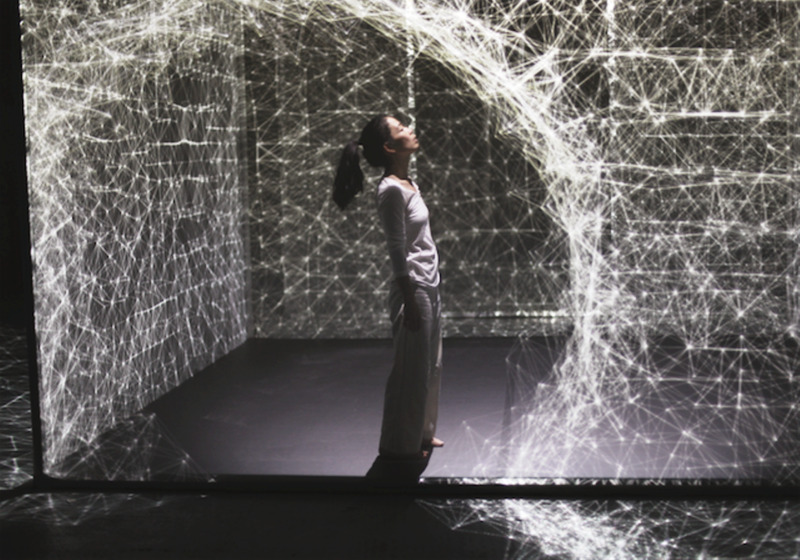 The two seek to create a poetic visual language with high tech tools. 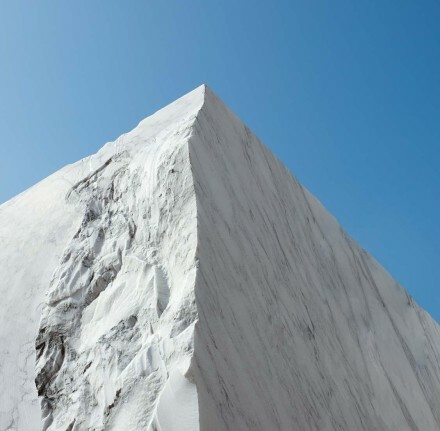 The company Adrien M and Claire B operates as a research and creative workshop in Lyons, France.